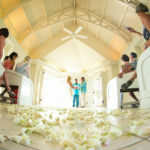 The couple was married in the chapel, one of two chapels on resort properties on the big island. 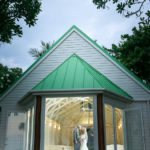 After the ceremony the couple had photos taken in the gazebo, on the lawn, by the ocean, next the waterfall and along the cliffs. The Sheraton is a unique property to have cliffs as part of their property.